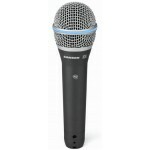 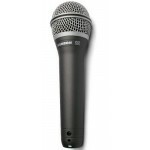 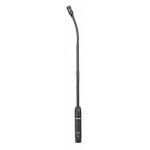 Gooseneck Mic Base Features Weighted microphone base with female XLR connector Programm.. 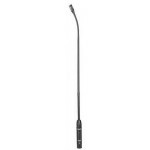 The Samson CM20P features a flexible top and bottom section that allows a variety of positioning app.. 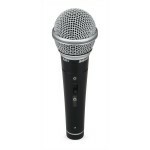 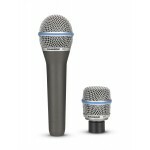 The Samson CM15P high-quality gooseneck microphone can be used for any podium application. 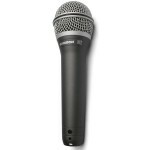 The CM..
A Workhorse Mic for Stage and Studio Have you been looking for an affordable stage or studi..
With everything you need in one box, the Samson SA-Q7VP Complete Dynamic Mic System provides a total..
Samson's Q7 Professional Dynamic Microphone provides exceptional sound reproduction in a variety o..
Samson’s CS Series (Capsule Select) Microphone offers the capabilities of two pro-level dynamic micr..